I became very interested in the “glass ceiling” topic ever since I heard about this term as a freshman in college. This invisible career barrier is prevalent in Corporate America, politics, Silicon Valley, and beyond – it hinders minority professionals from reaching the top of whatever mountains they’re climbing. I’ve been thinking about Angela’s question ever since. I started a Temple University Chapter of National Association of Asian American Professionals – Philly (NAAAP Temple) in 2015. I joined the officer board of NAAAP Philly in 2016 after college graduation. I signed up for Cigna’s Asian/South Asian Colleague Resource Group (CRG) and became the PA Regional Lead in 2017. 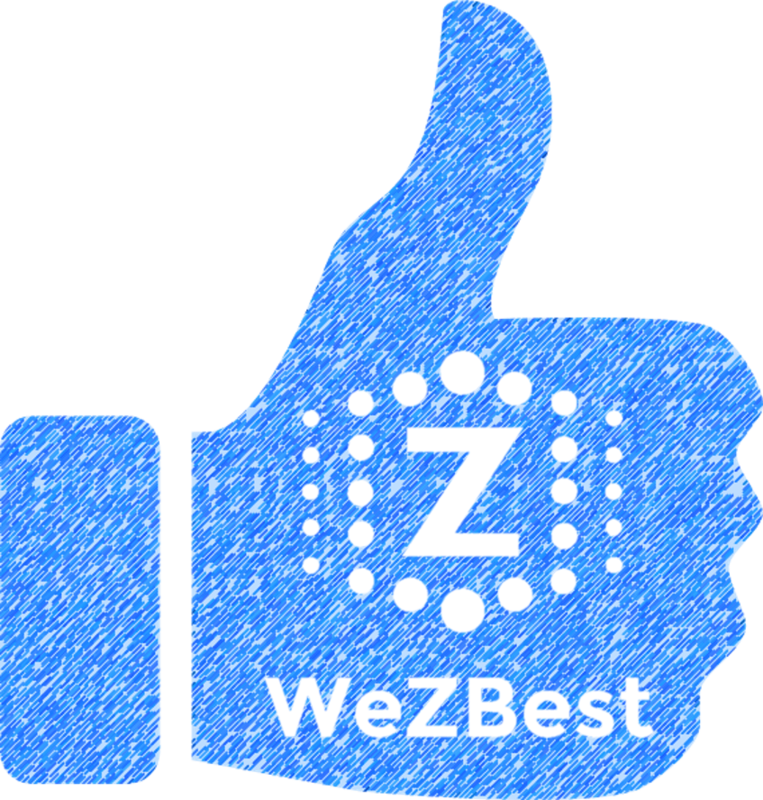 A few month ago, I started this website, WeZBest, with a mission to help people of all backgrounds to break through whatever barriers between themselves and their highest potential. Some barriers come from within, and some from outside. As you will read from the following group paper I did in college, glass ceiling is actually a blend of both. I wrote part 3 of the paper – How to Break Through Glass Ceiling. It was such a pleasure and honor to cite an author I have met and talked to a few times in person: Jane Hyun, the author of Breaking the Bamboo Ceiling and Flex, also a board member of NAAAP. Glass ceiling refers to career barriers due to attitudinal or organizational biases that prevent women and racial minorities from reaching top-level positions that are most often held by while males. This paper will examine how glass ceiling has affected women and racial minorities, and what an individual and organization can do to break through glass ceilings. According to an article on Forbes the biggest barrier holding women back from growing is not a “glass ceiling” but a glass cage of their own creation (Warrell, 2013). This barrier is brought on by the uncertainties women have about their ability to succeed and handle the demands of leadership without sacrificing their other responsibilities outside the workplace. Based on recent studies it has been shown that men tend to have a higher role in the workplace as opposed to women. According to a study by the UC Davis Graduate School of Management, women are wholly under-represented in executive positions and board seats (Gunelius, 2007). Currently in the state of California women hold only 10.4% of the board seats and highest-paid executive officer positions. That’s one woman for every nine men in the top leadership roles at these 400 high-profile public companies. (Gunelius, 2007) In addition, out of California’s 400 largest public companies 122 roughly 30% have no women as top executives or seated on their board of directors (Gunelius, 2007). Furthermore, there were approximately 3.5 million employed nurses in 2011; of that number about 3.2 million were female and 330,000 male. Also 9 percent of all nurses were men while 91 percent were women (Landivar, 2013). In addition even among men and women in the same nursing occupations, men out earned women, also women that worked as nurses full‐time, year‐round earned 91 cents for every dollar male nurses earned in 2011. On the contrary, men earned, on average, $60,700 per year, while women earned $51,100 per year (Landivar, 2013). According to the US Census Bureau these differences could be due to the fact that men are more likely to be found in highly‐paid nursing occupations such as anesthesiology. While men and women’s stereotypes are often exaggerated, research does show that gender characteristics do exist and play an influential role in the workplace”. When it comes to setbacks for minorities, the glass ceiling is one of the biggest issues. Everyone knows that in most cases, big money is made at the top of the corporate ladder with the executives. It is an ongoing issue for African-Americans, Asians and Hispanics where they are given little to no opportunity to climb the corporate ladder. In the beginning when minorities were starting to be allowed to participate in society there was practically no opportunities for them other than labor work whether it be in factories, on farms, or low-level maintenance services. A still-used term is “it’s not what you know, it’s who you know” and this played a big part 20-30 years ago for minorities landing corporate positions. The wealthy men up top would pass their position down to their sons and so on, creating a vicious cycle and unethical pattern. Employers considered it as a way to keep existing power in their picture-perfect structure which ultimately allows them to be superior to any minorities. The top executives had lack of respect for the non-white workers or employees and felt the need to have them monitored at all times. As said in “Model of Minority Myth Revisited” Asian Americans were first characterized as the a-type model minorities in the early 1960s (Li, G., & Wang, L., 2015, pg 2). Once the Civil Rights movement era came to a close, minorities started seeing progress in the discrimination from businesses. One of the main arguments includes the simple fact that many minorities are just as, if not more, qualified for upper level positions over white individuals that majority of the time have been grand-fathered into the job. Jumping to the present, minorities are thankfully finding ways to get around the obstacles in between them and the glass ceiling whether it be corporate or small business. Minorities are noticing that hard work produces results and are implementing themselves into the growth of the company. By doing this they are making assessments on what the small business needs to be more functional. By putting themselves in the center of management they will be exposed to key areas such as marketing, sales, day-to-day operations, and more. This not only shows the small business owner that the individual is dedicated to improving the business but also that the stereotypes issued to minorities can in-fact be misinterpreted. When an individual imbeds themselves into daily operations they are forcing themselves to take extreme responsibility and show initiative which is one of the key things that will help put a crack into the glass ceiling we all are aiming to break. There are two major glass ceilings that are to be broken: small business and corporate. Corporate glass ceilings are indefinitely tougher to break for minorities. However, the ceiling tends to get a little thinner and easier to break through when the economy is poor. For instance, when American Express did a mass lay-off of 6,500 employees in December of 2002 as well as another 8,000 earlier that year (Hutchinson, 2002, pg 2), they will eventually need to hire again when the economy heals. By having the number of minorities eager for a corporate position indefinitely growing this gives the company an upper hand and an easy hiring process while the economy is still good. However, this does not mean the individuals will keep their job forever, they very may well be laid off in another cycle down the road, but it still gives them a fighting chance to make their mark in the corporate world and put everything they have into breaking through the ceiling before the next economic crash. Small business glass ceilings are different in a number of ways. First way being the simple fact of the company having a fraction of the employees a corporate company would have, thus making it easier to break the ceiling. With a business being smaller, minorities have a higher chance of communicating directly with the owner(s) and directly expressing their potential and desire to give assistance at the top. This does not mean it’s easy by any means, but certainly easier than making themselves stick out in the corporate world where mega companies have thousands of employees at once. When observing current progress on minorities breaking the glass ceiling, the data has not been promising. While there are plenty of black, Hispanic, or Asian CEO’s in Fortune 500 companies, the primary issue for blacks is in the medical field. Since the 90s there has been no change in the amount of black doctors. However, there has been significant growth in the corporate world for all races in the sense that they are being noticed and making themselves appear as a professional that is on the same level as everyone else no matter where they are from or what their skin color is. While inequality doesn’t seem to be slowing down, it will always be a fear that the progress for minorities in the business world will take a few steps back if inequality continues to get worse. This raises a red flag in the sense that everything minorities have done to make their mark has a possibly uncertain future of continuing on the pace it has set in the past couple of decades. Despite those assessments, present day progress is inevitably a monstrous improvement compared to 20 or even 10 years ago when speaking about minorities being given opportunities to work with the “big dogs” at the top of a company. While the future is still unclear for the glass ceiling progress, things are definitely being done. By the United States electing an African-American President, minorities have been given a new stride of hope for becoming powerful individuals. Fortune 500 companies are appointing minorities as CEOs, CFOs, and many more top-level positions. If America continues to proceed at the rate it is presently going, it is a possibility that the glass ceiling will be depleted for minorities. As discussed earlier, both women and racial minorities may face various types of glass ceilings that can potentially prevent them from advancing to the next level within their respective organizations. So how can we remove glass ceilings within an organization or corporation? We will look into this issue from both personal and organizational perspectives. From a personal perspective, numerous career coaching literatures suggest there are a few important career strategies minorities should utilize in order to break through glass ceilings. First, understand your diverse background and the culture of the organization you work for. Know how your diverse background would help or hinder your career progress. Second, leverage networking to develop yourself and climb up the ladder. Third, be your own public relations manager – build a positive public image and know when to promote yourself. According to Sharon Jones, a nationally recognized diversity consultant, knowing yourself and the culture of the organization you work for are the prerequisites for breaking glass ceilings (Jones, 2008). We all know that in order to navigate a journey with a GPS, we need to know not only a destination, but also the origin. Have an objective understanding of your diverse background is that origin – the place where you are right now. A company or organization culture, on the other hand, dictates where you need to go in order to achieve a successful career. In Breaking the Bamboo Ceiling: Career Strategies for Asians – The Essential Guide to Getting In, Moving Up, and Reaching the Top, author Jane Hyun, an executive coach and leadership strategist, offered many insights into this topic. She did a thorough analysis on how one’s cultural background can potentially influence his/her behaviors and consequently career progress. Asian Americans, for example, as Hyun (2005) pointed out, “may seem to readily adopt Western ways of living, but their deeply ingrained Asian values, many inherited from Confucian values, are so fundamental to who they are that they and future generations are very slow to change” (p. 8). Many traditional cultural values often lead to behaviors that put minority professionals into disadvantageous positions in the workplace. For example, one of the traditional Asian values is the respect for the elderly and authority, as a result, Asians are less likely to challenge the authority. A person with this kind of value can be perceived as a “yes-(wo)man” who does whatever the authority tells him/her to do, and does not speak up about issues. Another common traits among racial minority and women professionals is modesty. Minorities tend to be humble about their accomplishments and attribute more credits to their teams than to themselves. While this trait makes them good team players, it does hinder minority professionals when it comes to promotion season – as their efforts went unrecognized, and they may be overlooked as a result (Hyun, 2005, p.33). These examples illustrate that different cultures can largely influence how minorities behave, so it is important to understand how your diverse background help or hinder your career progress. “The person with the most extensive network of people who hold him or her in high regard and who can access that network when needed is ultimately the most successful” (Jones, 2008). Because of differences in culture or other values, minority professionals need to be especially intentional when it comes to building and leverage human network. Hyun (2005) recommends one should network horizontally, vertically, and diagonally in order to break through the glass ceilings. Horizontal networking is building strong relations with professionals at your own level in various parts of the organization. It can help you to understand critical inside culture and unwritten rules, as well as give you insights into who are good to work for and work with on a particular project. Network vertically and diagonally is about forging strong working relationships with managers and clients across various segments (p. 188). Once you have the internal and external networking, seek out mentors who are able to (1) tell you the unwritten rules and culture within an organization; (2) offer you advice and suggestions to take your performance up to the next level; (3) help you “chart your course and achieve your goals outside the organization” (Jones, 2008). “Think of yourself as a celebrity who needs to build an image” (Jones, 2008). As Jones argued in her 2008 article, Success Strategies for Minority Partners and Associates, most stereotypes about minorities are negative in the workplace; therefore, it is most likely needed for you to prove your worth and value to the firm on various occasions – something Jones referred to as “rebuttable presumption of incompetence.” In the white male-dominated corporate world, self-promotion is needed. Think of a positive image which you want to build, then release information consistent with that image. Jones offered a great example: if you want to build an image or personal brand as a successful litigator, talk about your litigation wins while in front of colleagues, and save litigation loss stories for family and friends. Another Jones pays attention to regarding her image is her appearance. She recommended minority professionals use people in higher positions as dress code guide (to the extent budget allows), as this will “lead you to a more acceptable appearance for the [corporate] culture” (Jones, 2008). From an organization perspective, in order to eliminate glass ceilings and create a more equitable and competitive workplace, an organization can improve its HR and other firm-wide policies. Business writer, Margie Fishman (2011), outlined six valuable changes an organization can make. First, recruit and promote based on talents and potential. Second, eliminate evaluation bias by including a system of checks and balances to eliminate unconscious bias. Third, encourage mentoring relationships. Fourth, promote gender-neutral networking that make both male and female employees feel welcomed. Fifth, adopt a zero-tolerance policy to promote a safe work environment by driving out discrimination. Sixth, provide flex-time options for all. Fishman observed that the jungle between work and family responsibility is one of the biggest challenges for women wanting to advance in their career. Providing flexible work scheduling option to all employees alleviate the pressure on female professionals, and reduce the tension previously created by shifting working mothers’ workload to male and childless colleagues. It is also recommend in a 2014 research, Examining the Tensions in Workplace Flexibility and Exploring Options for New Directions, to change organizational cultures, adopt a philosophy of adaptability, customize work, and make workplace flexibility an employee right (Putnam, L., Myers, K., & Gailliard, B., 2014, p. 413). In conclusion, we saw in the white-male dominated corporate world, both women and racial minorities face various form of glass ceilings. In order to break through the glass ceilings, it is important for individuals utilize career strategies outlined above to prove their worth and climb up the ladder. From an organization’s perspective, it is important to create policies that promote equitable work environment. Chou, R., & Feagin, J. R. (2015). The myth of the model minority: Asian americans facing racism (2 ed.). Boulder: Paradigm Publishers. Fishman, M. (2011, August 4). 6 Ways To Shatter The Glass Ceiling From Above. Retrieved November 16, 2015. Hyun, J. (2005). Breaking The Bamboo Ceiling: Career Strategies for Asians : The Essential Guide to Getting In, Moving Up, and Reaching The Top (1st ed.). New York: HarperBusiness. Jones, S. (2008). Success Strategies For Minority Partners And Associates. The Practical Litigator, 15-21. Li, G., & Wang, L. (2008). Model minority myth revisited: An interdisciplinary approach to demystifying Asian American educational experiences. Charlotte, NC: IAP. Pierre, U. (1998). The myth of black corporate mobility. New York: Garland Pub. Putnam, L., Myers, K., & Gailliard, B. (2014). Examining the tensions in workplace flexibility and exploring options for new directions. Human Relations 67(4): 413.